Yi Peng (also written as Yee Peng) is a festival unique to northern Thailand and closely linked with the ancient Lanna kingdom. Adapted from Brahmin origins, Yi Peng was originally celebrated as an individual event in its own right marking the end of the rainy season and the start of winter (cool season). Yi Peng now takes place at the same time as Loy Krathong. 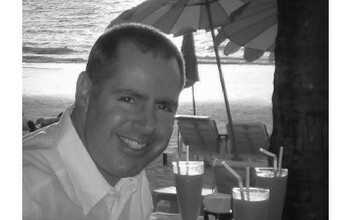 Yi Peng events take place at various locations in northern Thailand, but it is Chiang Mai which has become synonymous with Yi Peng. 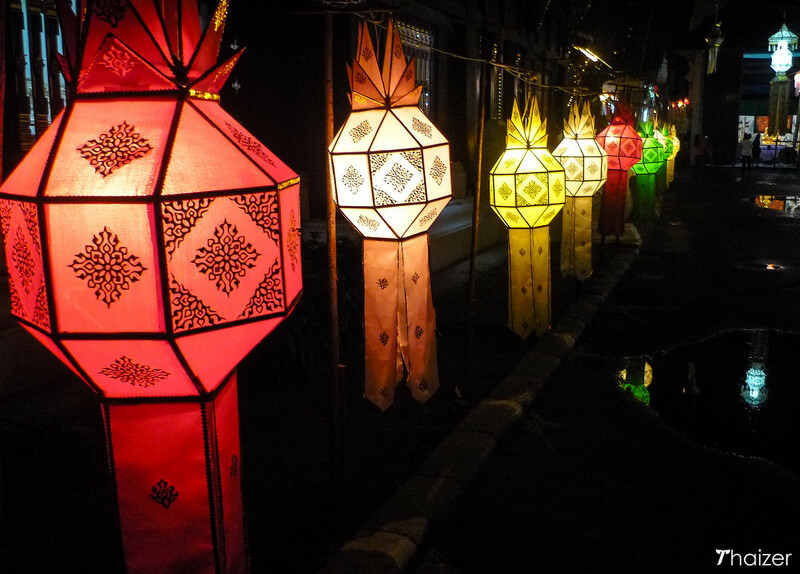 All around Chiang Mai during Yi Peng and Loy Krathong you will see lanterns and special parades. 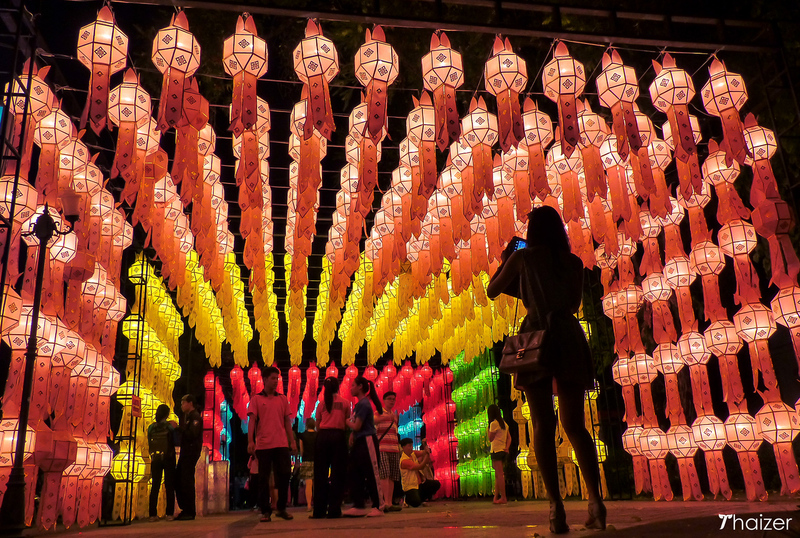 Colourful lantern displays are set up at the Three Kings Monument, Thapae Gate and at all of other gates around the moat which encircles the Old Town district of Chiang Mai. Temples and households decorate their front entrances with coconut leaves and flowers. On Yi Peng Day (the night of the full moon for Loy Krathong) lanterns or candles are also lit and placed at entrances to shops, homes and temples. The act of making the lanterns or donating them to temples is one way of making merit and the light of a lantern is significant in Buddhist culture because it represents the moving away from darkness into a brighter future. 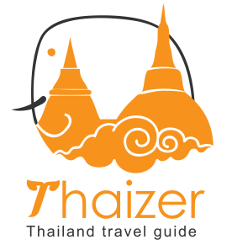 There are four main styles of lantern; khom kwaen (hanging lantern), khom thuea (carrying lantern) also known sometimes as khom gratai (because it resembles a rabbit’s ear), khom paad (revolving lantern) and khom loy (hot air floating lantern also known as khom fai). The release of lanterns (khom) is a way to pay respect Buddha and also to release bad memories and make a wish for the future. 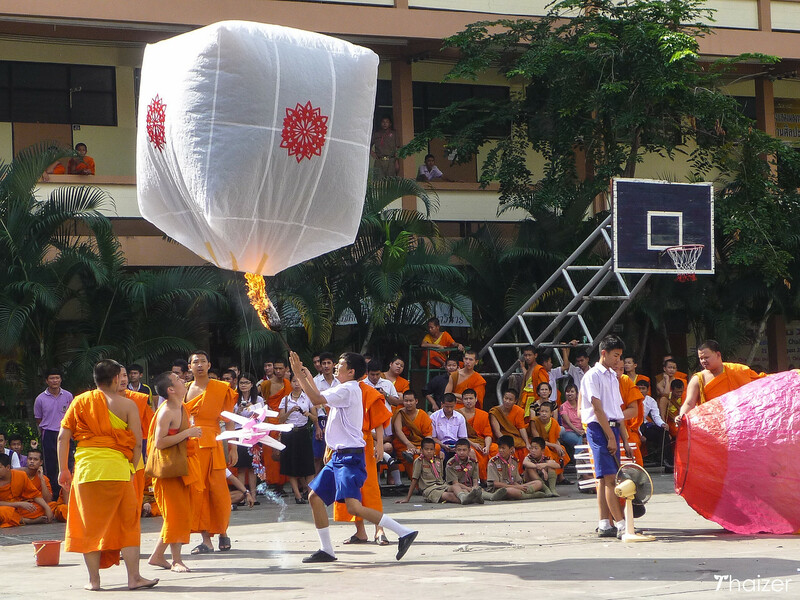 During Yi Peng it was traditionally monks who released the lanterns, but now anybody can do so. 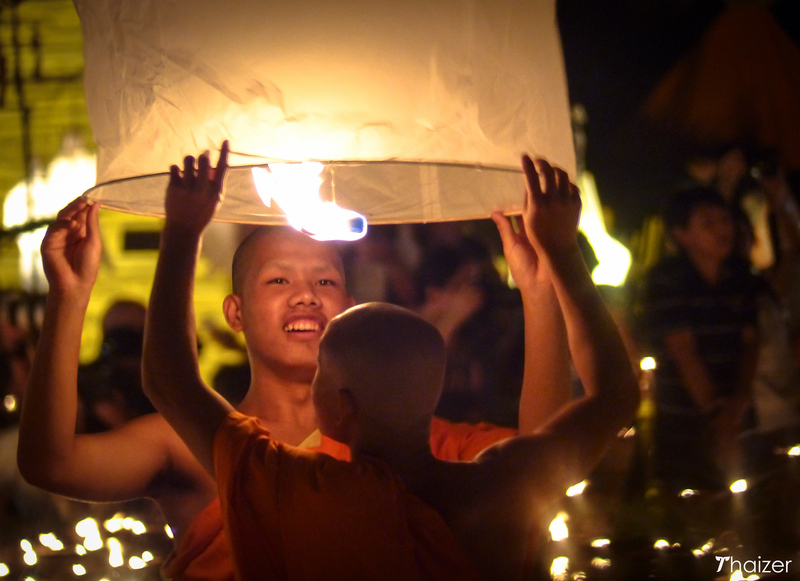 On Yi Peng Day (Loy Krathong Day) novice monks at some of the temples will release giant sky lanterns in the morning. 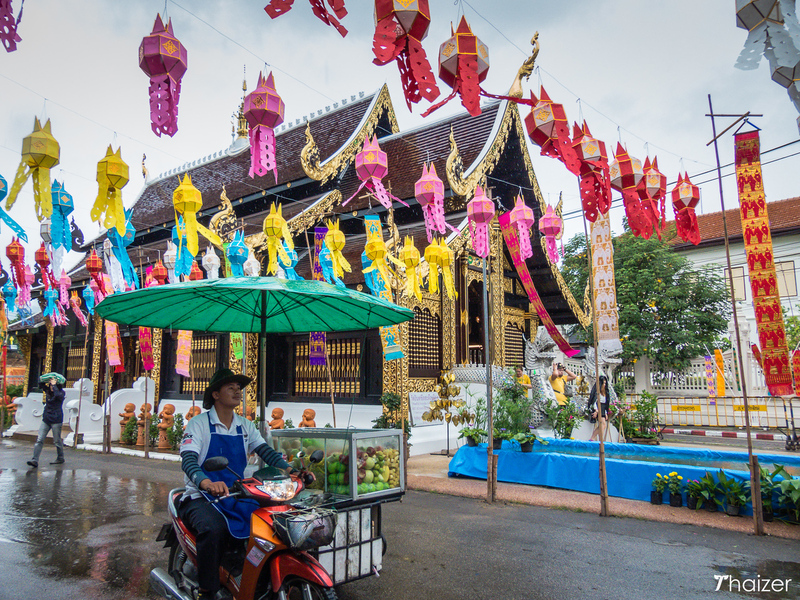 These will normally have firecrackers attached to them and if you are staying in Chiang Mai you will be sure to hear these khom fai even if you don’t see them. 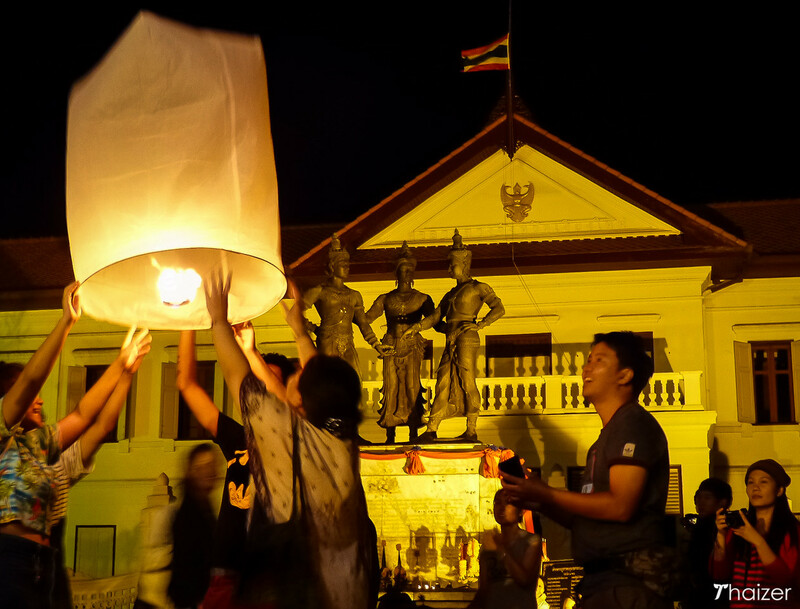 In the evening, khom loy (floating lanterns) are released all around Chiang Mai province. In the city, the main areas are around the Ping River and at various locations around the moat. Many temples, including Wat Phan Tao and Wat Chedi Luang, are a wonderful place to enjoy the festivities away from some of the more crowded areas near the river. People release the lanterns from dusk until the early hours of the morning and it is a wonderful sight set against the backdrop of the full moon. Sky lanterns are sold at various locations in and around the city of Chiang Mai throughout the Yi Peng and Loy Krathong period and the night-sky is filled with the sight of fire lanterns. The most popular nights to release these are on the eve of Loy Krathong and on Loy Krathong day itself. When is the Yi Peng Festival? The date of the festival varies each year according to the lunar calendar, but usually falls in November (check the events and festivals page for dates). 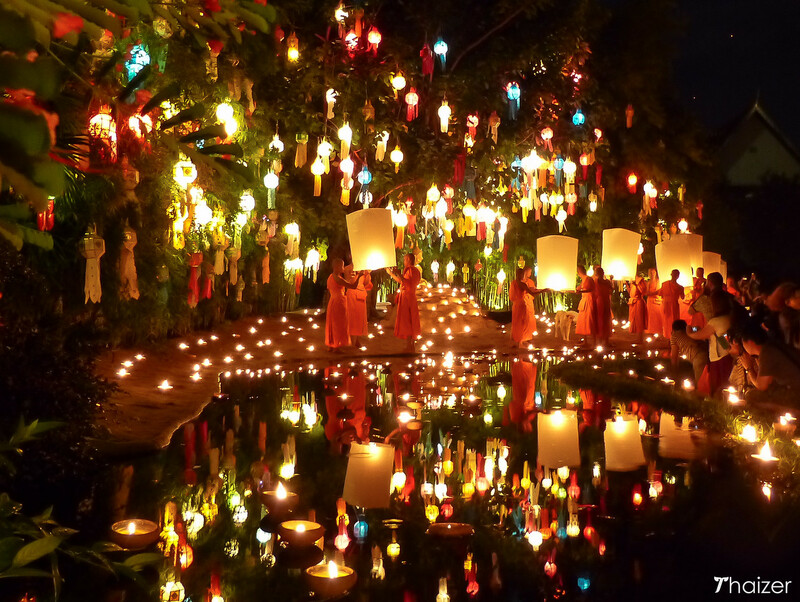 In ancient times, Yi Peng was a separate festival to Loy Krathong. However, these days the two festivals are held at the same time. Yi Peng night is always the same night as Loy Krathong. 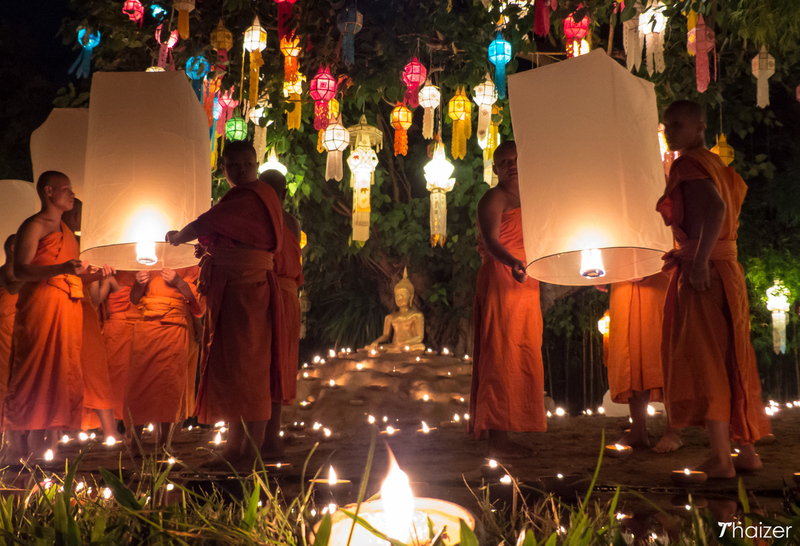 In Chiang Mai, the Yi Peng Lantern Festival is usually held over three days with the main evening for releasing sky lanterns and floating krathongs being Yi Peng/Loy Krathong night on the evening of the full moon. 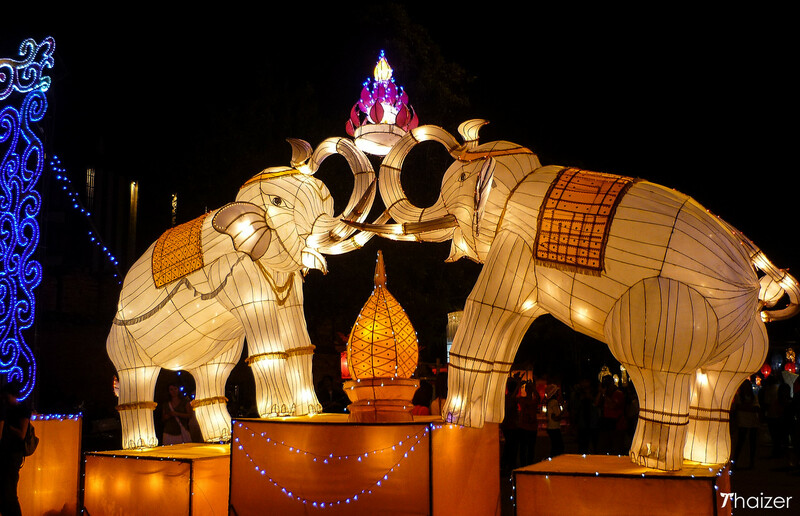 There are no tickets needed to attend the Yi Peng Lantern Festival in Chiang Mai. The festival is free to attend and always has been. 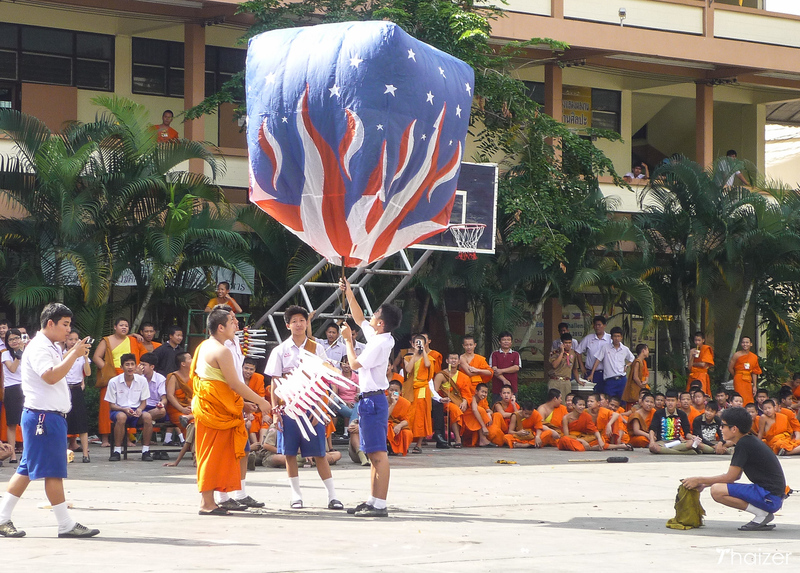 In previous years, a separate sky lantern release has been hosted at a location close to Mae Jo University in the Sansai district of Chiang Mai province. The privately arranged Mae Jo event is organised by a controversial Buddhist sect. Since 2015 there has been no free event at Mae Jo. 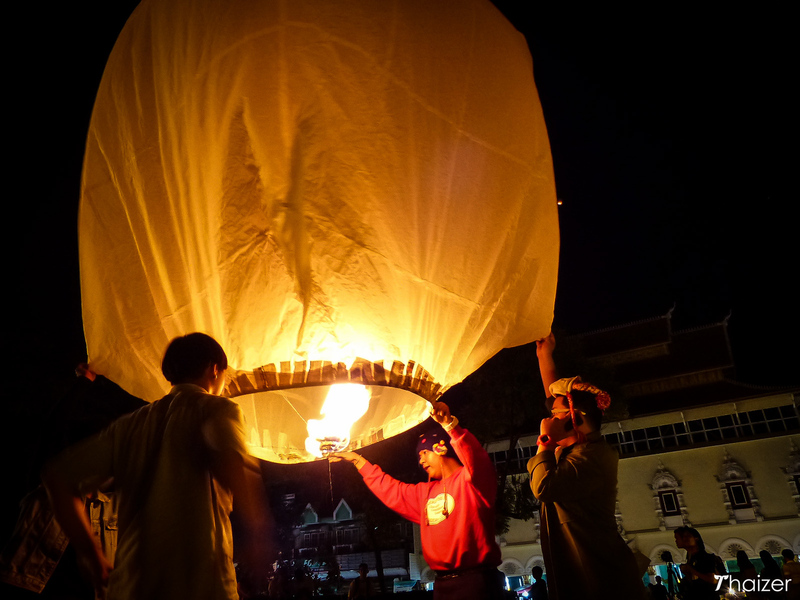 The Mae Jo sky lantern release is aimed at tourists and the organisers charge for tickets. 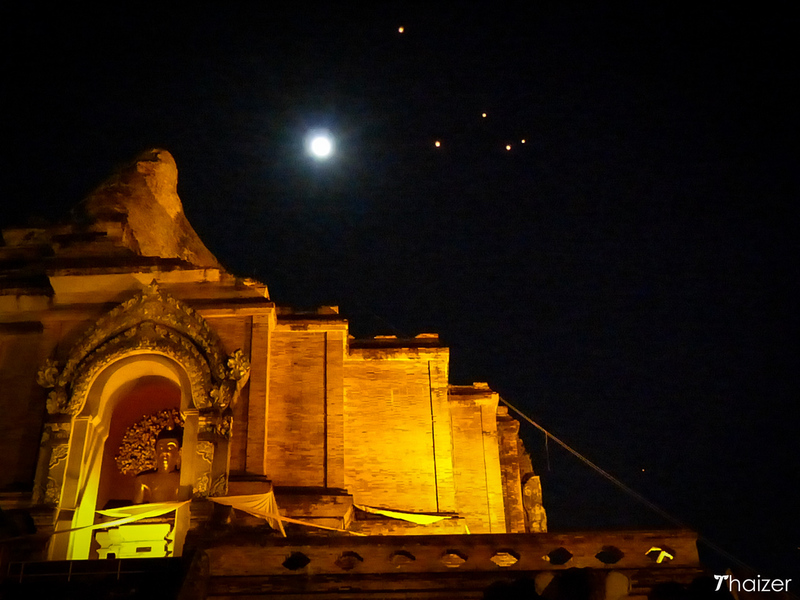 The Mae Jo event is not the Yi Peng Lantern Festival although it is often incorrectly described as such on various travel websites and YouTube videos. The Chiang Mai municipal authorities arrange an official opening ceremony for the festival which normally takes place the evening before Yi Peng/Loy Krathong night with a ceremony at the Three Kings Monument and/or Thapae Gate. 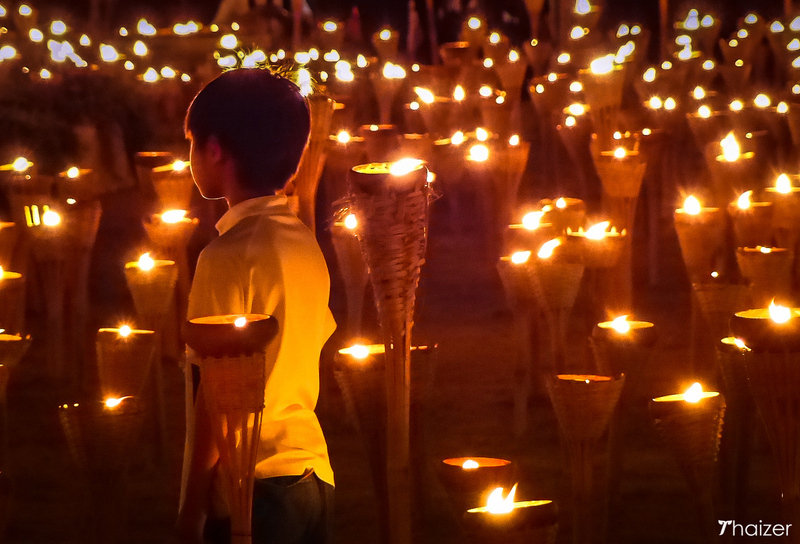 Processions of lanterns and krathongs normally take place on each of the three evenings of the festival. Sky lanterns are also released and krathongs floated on each evening of the festival although the main night for doing this is the full moon night which marks Loy Krathong/Yi Peng. There is a street parade on Yi Peng/Loy Krathong night, but the biggest parade is held on the evening after. The procession of beautifully decorated floats normally starts in the early evening from in front of Thapae Gate and then heads along Thapae Road towards the Ping River and the Chiang Mai Municipality building. The festival follows a similar pattern each year although full details of the event schedule (available from the Tourism Authority of Thailand office in Chiang Mai) aren’t usually published until a month or two before. 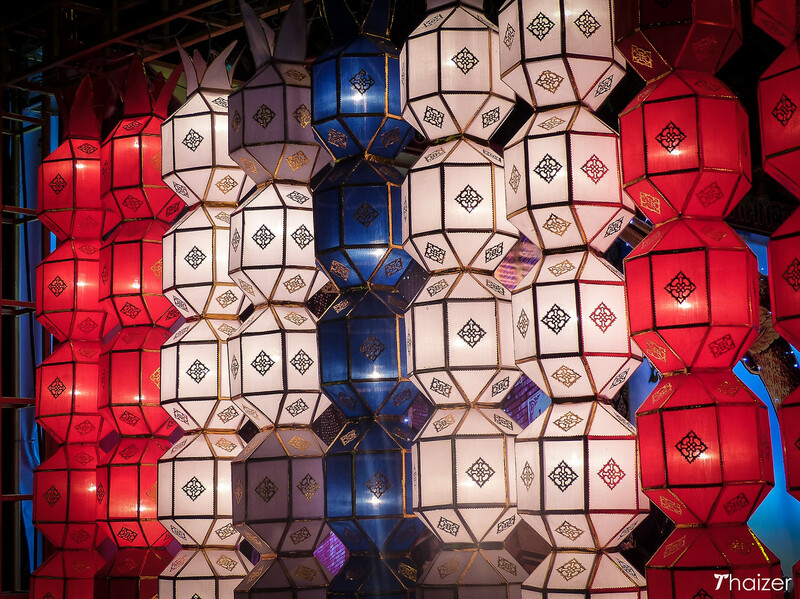 Where is the best place to see the Yi Peng Festival in Chiang Mai? In Chiang Mai city, Nawarat Bridge and the Iron Bridge (known locally as Saphan Lek) are popular spots for launching sky lanterns. All along the banks of the Ping River you will see krathongs being floated on the water with Wat Chai Mongkhon being a favourite location for local families to gather. 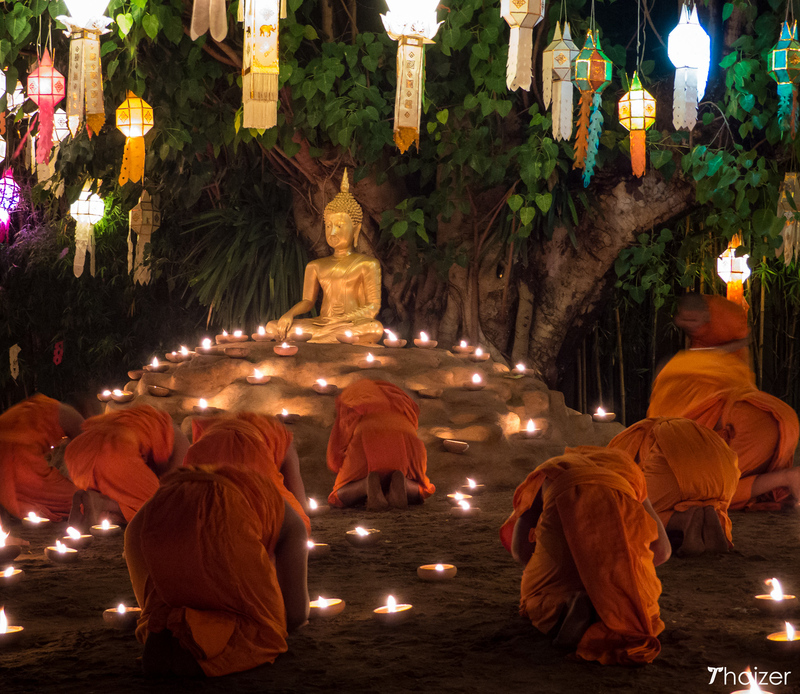 In previous years, the temple gardens at Wat Phan Tao have arranged a religious ceremony on Yi Peng night. 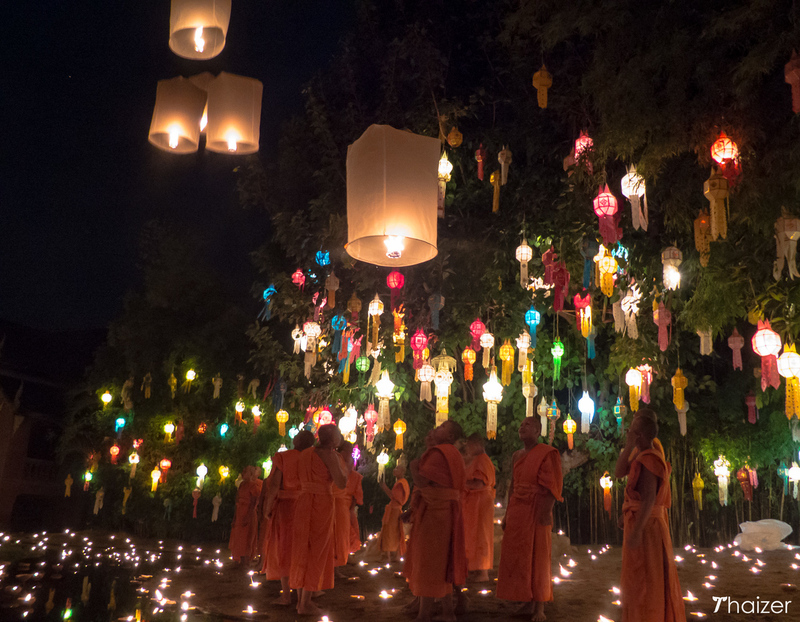 The ceremony takes place in a tranquil candlelit garden and culminates with novice monks releasing sky lanterns. It’s beautiful to witness, but has become increasingly crowded in recent years as word has got out so get there early for a good spot. Check with the temple in person for details of this year’s event. 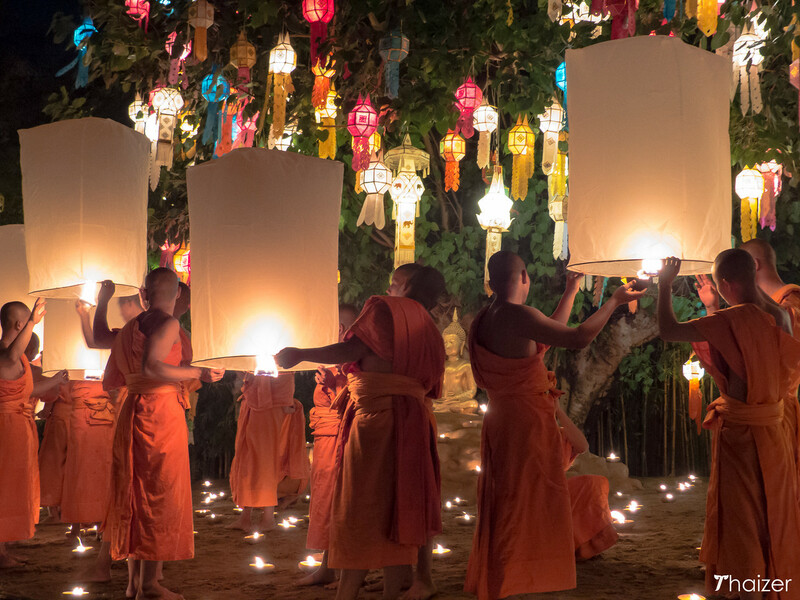 Although the lanterns are closely associated with northern Thailand, the beauty and popularity of them means that they can now be seen at a number of locations throughout Thailand during Loy Krathong as well as other special events during the year. On New Year’s Eve, Chiang Mai is once again a great place to be to experience the beauty of thousands of sky lanterns being released near the Ping River and Thapae Gate areas of the city. It is also becoming increasingly popular to release sky lanterns on various islands and beaches in the south of Thailand to welcome in the New Year. Lanterns have also been released in recent years on the anniversary of the 2004 tsunami.